Imagine living on the doorstep of global footballing juggernaut and five time European champions, FC Barcelona. A daunting prospect. This is the reality for Espanyol – they play in a city where Barcelona’s eternal rival, Real Madrid, have more merchandise on sale. Surviving where the Barça giant channels all the football energy to the Camp Nou. In short, they are like strangers in their own city. It seems all the more remarkable when you consider they have only spent four seasons outside Spain’s top tier since La Liga’s formation in 1928. The club was founded in 1900 (a year after their illustrious neighbours) by Angel Rodriguez, an engineering student studying at the University of Barcelona under the name of Sociedad Espanola de Futbol. It wasn’t until 1912 that the team adopted the name Real Club Deportivo Español when the then King of Spain Alfonso XIII became a backer of the club, granting them a royal title. This royal title allowed Espanyol to incorporate an emblem of the Spanish royal crown into their club badge. 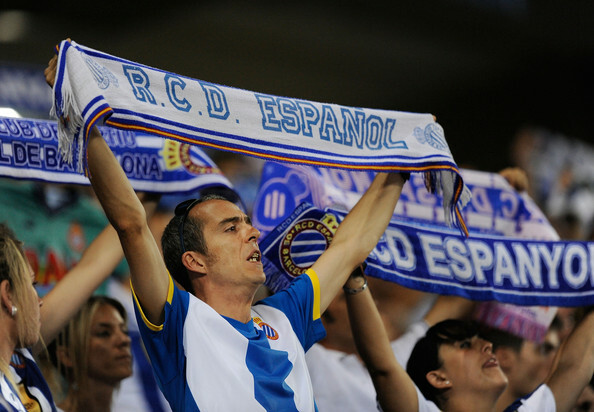 Espanyol were also the first club in Spain to be formed exclusively by Spanish fans of the game, and initially only fielded players who were born in Spain. Espanyol got their nickname, the Pericos, when playing in the Sarria district of Barcelona, due to the palm trees in the are which were home to budgerigars. The creation of Espanyol could be seen as a direct response to the foreigners across the city, FC Barcelona, who were founded by the Swiss Hans Gamper with the help of a fellow compatriot, three Englishmen and a couple of Catalans. 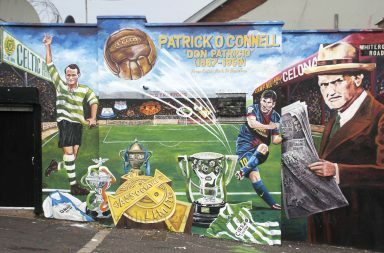 It’s fairly clear to see that in the early years the two clubs may have shared the same city but had vastly different ideologies. Whilst Barcelona wanted to represent Catalonia, Espanyol wanted to represent their country, Spain. In the past, this view of being in favour of a unified Spain has seen fans of Espanyol being accused of deliberately trying to destabilise the region’s move towards independence. A sizeable portion of Barcelona’s fan base viewed their Catalan neighbours as supporters of General Francisco Franco’s dictatorship (1939-1975) who’s regime had Spanish nationalism as one of its bases. During the Spanish Civil War (1936-1939) a number of right wing Espanyol supporters joined Franco’s Falange movement supporting the unity of Spain and the elimination of regional separatism. In the eyes of Barcelona supporters, to support Espanyol was to be anti-Catalan. 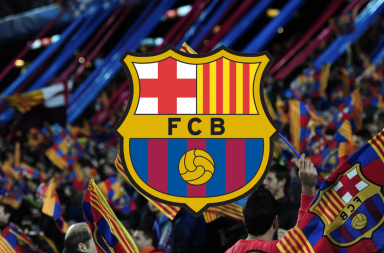 FC Barcelona was used, by the Catalan ruling class, as a tool to integrate non-Catalans into society and this helped to popularise the club with the immigrant population from poorer parts of Spain. This led to the claim that immigrants who couldn’t assimilate themselves into Catalan culture would gravitate to Espanyol. The discarded sibling. But enough of the politics from the early years. As already mentioned RCD Espanyol have only spent four seasons outside Spain’s top division, however, in all of those years they have never won Spanish football’s most coveted prize. The longest any Spanish side has spent in La Liga without winning it. Not an accolade you would want shouted from the roof tops. It is their lack of success on the field which has led Barcelona to look on their neighbours as almost irrelevant. Now let’s compare the two Catalan clubs present day popularity. This is by no means a scientific test, but a quick glance at Facebook shows the enormity of the problems facing Espanyol. On Espanyol’s official page they are just shy of 360,000 likes, now looking at Barça they have 91,500,000 likes. That is an incredible difference, when you consider they are from the same city and play in the same division more or less every year. On top of this, last season the Pericos had an average attendance of just 18,600 whilst Barcelona had a staggering average of 77,600 spectators per game, with a high of over 98,000 for the ‘El Clasico’ against Real Madrid. This shows just what Espanyol are up against. Recently, the FC Barcelona museum was the most visited museum within Catalonia, eclipsing the Dali theatre and Picasso museums. Further illustrating the seismic gap between the two clubs. Winning the derby for Espanyol can define a season, but for Barça, winning the Derbi Barceloní is expected. It is these two different attitudes which make getting one over Barcelona all the sweeter. In 2007, in the penultimate game of the season a last minute goal by Raul Tamudo secured Espanyol a 2-2 draw at the Camp Nou. It was this goal which effectively stopped Barcelona winning the league title and is keenly remembered by the club’s fans. A small victory in an ongoing battle. The Pericos have won four Copa Del Reys; 1929, 1940, 2000 and 2006. On top of this they have reached two UEFA Cup finals which both ended in agonising heartbreak. The latter of the two was in 2007 when losing out on penalties in the all-Spanish final against Sevilla. After equalising in the 115th minute through Jonatas to make it 2-2, Espanyol went on to miss three of their four penalties losing 3-1 in the shootout. However, it would be the memory of their first European final in 1988 which would give their fans the most sleepless nights. Back then the UEFA Cup final was played over two legs. Having seemingly wrapped up their first European title with a 3-0 win in the first leg, the Pericos managed to lose by the same scoreline in the second leg. In fact, they were still leading the tie 3-0 with less than 30 minutes to play. This gruesome last 30 minutes led to the inevitable – a 3-2 penalty shootout defeat. 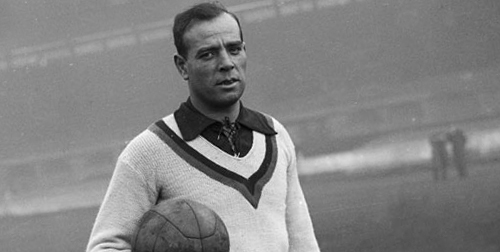 It should be mentioned that despite their lack of success, it was Espanyol who gave Ricardo Zamora, arguably Spain’s greatest ever goalkeeper, his debut in Spanish football as a 16 year old in 1916. Although newsreel footage of Zamora in action to prove his brilliance is hard to find, an indicator of how highly he is regarded by Spanish football is the presentation of the ‘Zamora Award’. This award is presented to the goalkeeper in the top division who has kept the most clean sheets over the course of a season. The 1990’s proved to be an important decade in the club’s narrative, as they became more ‘Catalanised’. They changed their anthem’s lyrics to Catalan from Spanish. As well as using the Catalan spelling for the club ‘Espanyol’ from the Spanish ‘Español.’ But whatever they did to associate themselves with Catalanism, they would be viewed with scepticism and suspicion by Barça’s fans – their past weighs heavily on their shoulder in Catalonia. 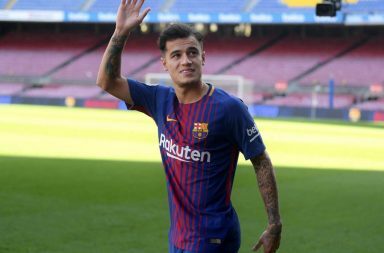 The recent takeover of the club by Chinese businessman Chen Yansheng with his ambitions of being a direct rival to Barcelona and to qualify for the Champions League within three years will raise expectations… and maybe raise an eyebrow or two at Camp Nou. However, the current campaign seems to be all too familiar for the Pericos, sitting invisibly in mid table, with Barcelona’s shadow looming largely over them. To support Espanyol, their fans need the biggest of hearts and the thickest of skin and for this they should be applauded by every football fan who understands the true feeling of being the underdog. So good luck to Espanyol – the strangers in their own city. This is how I feel. 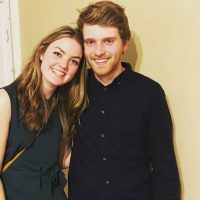 Nice post and thanks for sharing abroad what is ignored in Barcelona. I went to an Espanyol game about 20 years ago when they played at their old stadium. It was strange to see their own fans singing songs against each other and showing no interest in the away fans. One end was loyalist and one end was Catalan or neutral. Or that is how it seemed. One end especially was very Spanish with lots of Spain flags and songs of Viva Espana, the other a contrast. I have been to many stadiums around Europe and never experienced anything like that before or since.